Polo Ralph Lauren opened a new store on the first floor of Building B, Nanjing Golden Eagle Xinjiekou store, which is the brand's second store in the city. Brazil's well-known flip flops brand Ipanema opened a new store in Jiuguang Department Store, Suzhou, which is reportedly Ipanema's seventh store in the city. International sunglasses retailer Sunglass Hut opened a new store in Hangzhou's Intime Wulin store, which is the brand's third store in the city following the ones in Hangzhou Kerry Centre and Hangzhou Bailian Outlets. 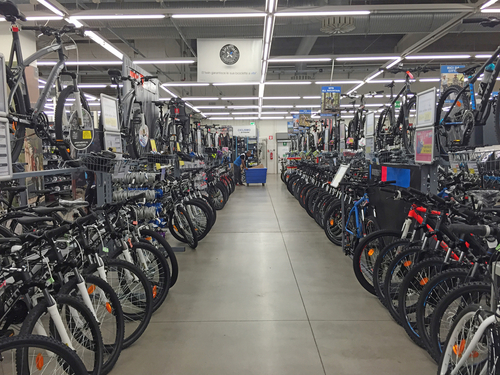 French sports supplies retailer Decathlon has opened its first physical store in Hong Kong. Aigle, a French outdoor leisure brand with a history of over 100 years, has opened a store in Jiuguang Department Store, Suzhou. Chinese sportswear brand Anta announced that its wholly-owned subsidiary Anko and the joint investor of Kolon have signed a joint venture agreement with Kolon for the establishment of a joint venture group. Kidswant, a Chinese one-stop shopping service provider for child, baby and maternity products, has signed a strategic cooperation agreement with Wyeth in Nanjing, headquarters of the Chinese company. French sports supplies retailer Decathlon will open a new flagship store in Luoyang, Henan province, which will become the company's largest flagship store in Central China. South Korean apparel brand Eland plans to develop ten shopping centers in China before the end of 2016.